Opposition Leader, Bharrat Jagdeo believes that the government does not have any plans to develop the economy and that after one year of APNU-AFC in office, Guyanese are worse off. He said recent statements were made that drug proceeds are not flowing freely through the economy and that this has affected spending. He said that Minister of Finance, Winston Jordan has latched on to that as an excuse and has missed the opportunity to address the real issues surrounding the economy. 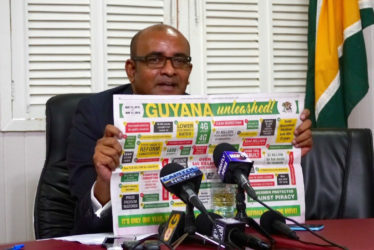 Opposition Leader Bharrat Jagdeo holding up a government advertisement highlighting its achievements over the last year. According to him, the people do not have confidence in the government and that every single day they [government] do things to erode that confidence further. 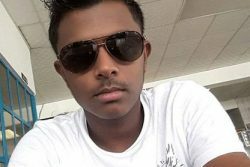 Jagdeo said that the government has started going after people who have had leases for over 20 years and core homes and are taking them away. “That mean private property is not sacred anymore,” he argued. He said audits can be done on the City Council to find out how much tax waivers they have given recently and how they have tendered their contracts, as well as on the D’Urban Park project, among other places. 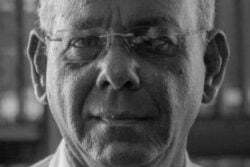 He said too that it “would be interesting to see” the audit on how much drugs have been purchased, “given the Bobby Ramroop saga.” Ramroop’s NGPC had secured the lion’s share of contracts under the Jagdeo administration and APNU+AFC had set out to change this equation. 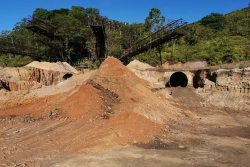 With regards to GuySuCo, he said it fell short of the first crop by 23,000 tonnes but it can achieve more money if sugar is sold at a certain price. He said while the government has said it has provided free driver’s licences for senior citizens, it has taken away their electricity and water subsidies. According to him, people now have to pay 16% VAT on heavy-duty machinery which is being used in the productive sector. He noted that a miner would now have to pay millions of dollars more to import a bulldozer or excavator while rice farmers have to spend more for a tractor or combine. He questioned how raising taxes can be pro-investment, noting that government does not have a level playing field. He said too that many people have asked if the PPP would be celebrating as a party and as members of parliament as an opposition. “We need to explore and debate our history, the periods when we did well and the periods when we did badly, even if it is to isolate from that period the best practices and best experiences and the best policies so that we can use them again in the future,” he told the media. He said the Granger government preaches social cohesion but does not practice it, arguing that some people were terminated from office for political reasons.